ECU30 MOD Combo kit includes our very own and beloved ECU Slim Series Clearomizer and our ECU 30 Watt Box Mod. Together they are quite stunning, both items come in beautiful colorful shades and are cohesive in appearance. 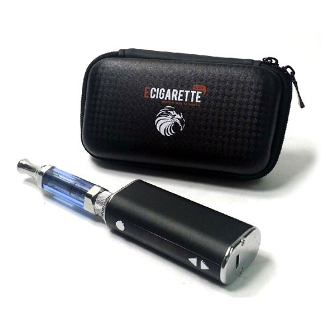 The Slim Clearomizer is dual coiled, and gives you a smooth but powerful hit. While the ECU 30’s variable VV/VW feature allows you to set a level that will make it produce the perfect vape hit for you. The ECU 30 Watt has a maximum output of 30 watts which can later on be utilized for lower ohm’d clearomizers and atomizers of which will produce even more vapor! The Kit comes with everything you will need to make your transition into the MOD world easier. Or you can use the kit as a stock up resource with everything being set at a lower bundle price.